Edge Banding is used to finish the thickness or sides of material like plywood, particle board and MDF. Edge Banding is used to create durable and visually appealing trim edges during finish carpentry. Edge banding is either a hardwood or veneer that is pre-sanded, available in various sizes and thickness starting from7/8” to 2” and more in form of rolls. 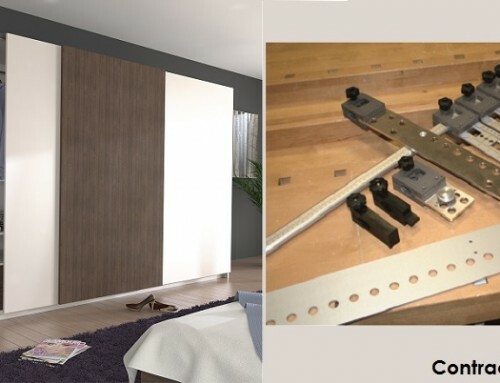 Edge Banding for Modular furniture and an onsite made furniture (i.e. carpenter made) vary in finishing it delivers, durability and aesthetic appeal that it adds. •	A carpenter will use Edge Banding that is readily available in form of rolls like bangles. With help of ordinary carpentry tools and materials, carpenter will cover the wood piece with Edge Banding. For application of edge Banding to the substrate, carpenter or an onsite worker will use a standard glue like fevicol or fevibond. 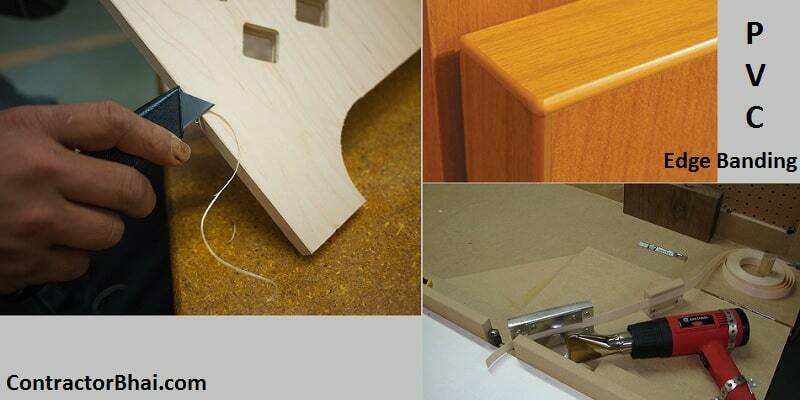 With onsite made furniture, the corners of furniture are sharp even after edge banding application. 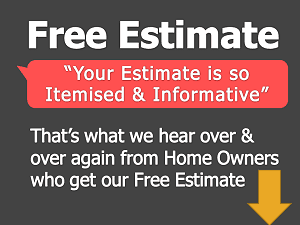 This proves to be dangerous sometimes and can hurt home owners. 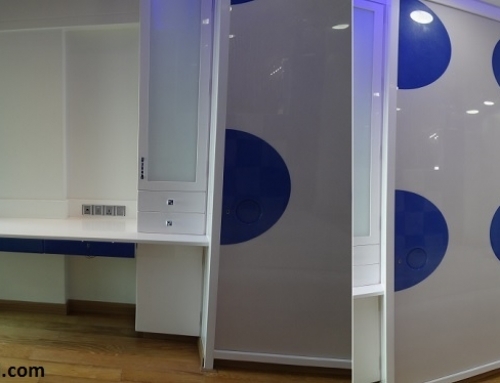 •	Whereas with Modular furniture and modern techniques, an Edge Banding is applied to the substrate using high volume, repetitive steps by an automated machine. The machine that applies edge banding is called edgebander. The edgebander not only bonds two substrates but also trims the leading and trailing edges, trims top and bottom flush with the substrate, scraps any surplus, and buffs the finished edge. Here the glue used is a special grade glue– hot melt adhesive that bonds two surface strongly. 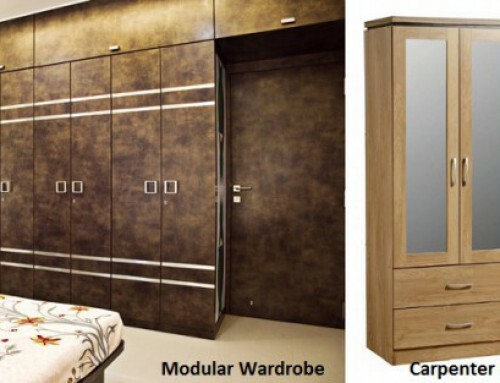 This process is typically carried out for Modular Furniture. For Modular Furniture, the corner of edge bandings are rounded by 2mm that are very safe to handle and non-injurious. Also the inner wood used is protected from corners that add to safety measure and visual sense. Therefore an onsite made furniture edge bandings peel of easily with daily wear-n-tear as compared to modular or machine made furniture. 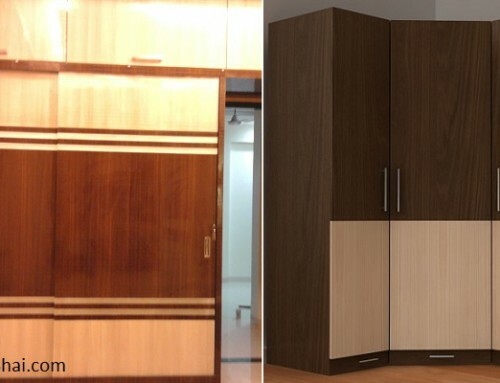 In India, the Edge Banding used for Modular furniture is made of PVC material. A higher grade plastic called ABS tape is also used as edge Banding but in foreign countries. This tape is not available here in India. Edge Banding used to finish the width of substrate are usually of same color as the laminate used or that of surface finish of the furniture. But it gets difficult to find same color or shades for few special, textured laminates. In this case a contract color or shade Edge Banding is used to finish the sides. If a home owner is buying an entire set for a room, the contrast color is matched with other furniture of that set. Like for a bedroom, the contrast color used for edge banding would be matched to bed or side table to complete the look. 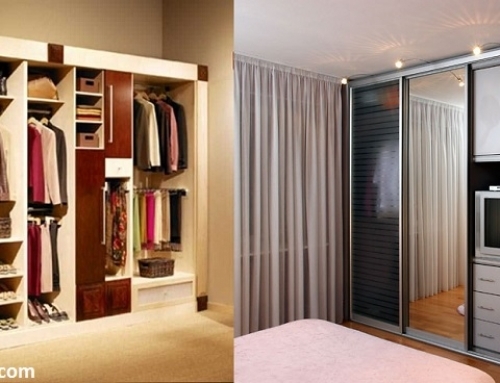 This not only gives a designer feel but also adds to aesthetic appeal of the room. How much does Modular Furniture Cost ?